Not a designer? Not a problem! The most important aspect of growth on Instagram is the aesthetics. The ability to create beautifully designed posts. This can be daunting for those without design skills. Luckily we have mastered this for many clients and made it easy by researching the best mobile apps in the world. There are many user friendly apps that you can use to design beautiful Instagram content like the pros in only a few minutes. Typorama: is a IOS app that makes it easy to find designs and fonts for your Instagram feed. This app saves you a lot of work by creating complex design layouts/templates. You can choose from 40 different typographic styles and layouts that are from world famous designers. You can choose from professional filters, backgrounds, adjustments and tools to perfect your photo. You can crop the image to your liking. Allows you to add your brands logo or image. It’s super simple to share on multiple social media platforms. Notegraphy: Is the app we highly recommend. It can be used on IOS and Android and is extremely user friendly. All you have to do is type in what you’d like to post and Notegraphy will transform your words into a beautifully designed image. These designs are created by world-class designers. After you selected your image, choose the one you like best and seamlessly post on multiple social platforms. You can also download their app on your desktop and save multiple images for later postings. They provide you with analytics on what image produces the greatest response. What you’re posting must be relevant to your audience. If you’re working in a bakery, you don’t want to be writing quotes on machinery. However, quotes are a great avenue to explore. They must be useful and relevant to your audience. We recommend Quote Garden & Brainy Quote. It’s also great to touch on tips and facts. This way you’re constantly educating your audience and providing them with value. After you have decided the text aspect of your content, use the apps we shared in step 1. You want to make sure that you keep your links short and easy to remember. This will drive more traffic and earn the attention of your followers. If your URL is too long than use services like Bit.ly. This also allows you to track clicks and make your link more memorable. If you want to ensure success, it’s important to be tracking everything you do online. Luckily there are many apps/services that make this seamless and easy for you! Latergram allows you to set up push notifications. These will notify you based on self-determined times as a reminder to post on your feed. HootSuite is a premier social media scheduling tool that allows users to schedule and release their posts. This makes posting on Instagram seamless and easy for a very low cost each month. Grab for Instagram is an app that seamlessly allows you to repost other users pictures and videos. The is a great tactic as long as you give attribution to the creator. You want to develop mutually beneficial partnerships on Instagram with other accounts that are in your niche. This way you can tap into each other’s audience and reach more people. 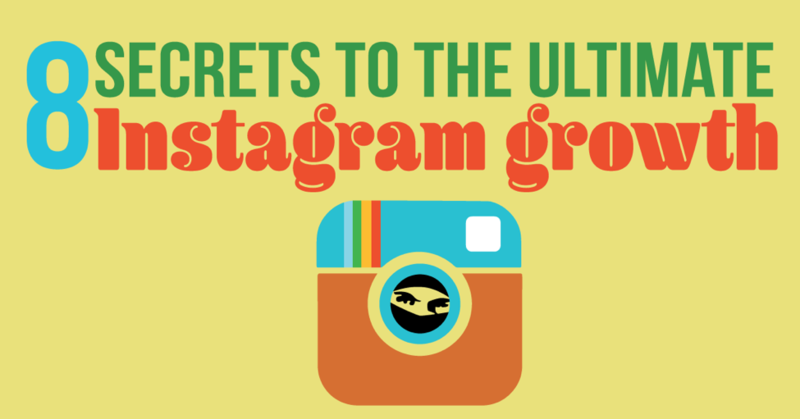 If you use Instagram frequently, you’ll notice that you often times gain and lose followers. The reason for this is because people don’t like you. Kidding. Majority of the time it’s because of tools like Crowd Fire. Crowd Fire is an app that allows users to follow and un-follow accounts in mass quantities. You can even follow other accounts followers. This is a very effective Instagram strategy because it allows you to target people who enjoy your kind of content. In the app you simply type in the leading accounts name in your market and all their followers will appear on the screen. You then continuously press follow until you reach Instagram’s hourly limit of actions. In the beginning you don’t want to make more the 300 actions (follows and un-follows) a day. Instagram will actually freeze your account if they notice uncommon activity. If this does happen to you, don’t panic. You simply have to let Instagram know that your account was hacked and it wasn’t you. After a couple weeks you can engage more frequently and do this process each hour of the day. This is an extremely effective strategy that they largest business accounts on Instagram use for growth. We highly recommend it.